Style Icon - Wanda Woodward - Dig it babe, you need a new look. - Sugar, Darling? Style Icon - Wanda Woodward - Dig it babe, you need a new look. I think it's kind of easy to see that Wanda Woodward was one of my role models growing up. Red lips - check. Blonde hair - check. Black eyeliner - check. Kitschtastic retro dresses - check. Leather jacket - check. I just wish I could rock a fringe like her. Gorgeous and full of attitude, Wanda Woodward is a trashy cinema goddess created by the inimitable John Waters, a member of a badass gang of 'drapes' led by Cry Baby played by Johnny Depp who looks especially gorgeous in his leather jacket and turned up jeans. Wanda is a big fan of the fitted skirt which she teams with wonderfully tight tops, a biker jacket, red lips and the classic rolled down socks and heels combo. The stereotypical 1950's bad girl, she wiggles across our screens dropping wonderful one liners and leaving a trail of cigarette smoke in her wake. It always baffles me a little that Cry Baby doesn't go for her over goody two shoes Allison. 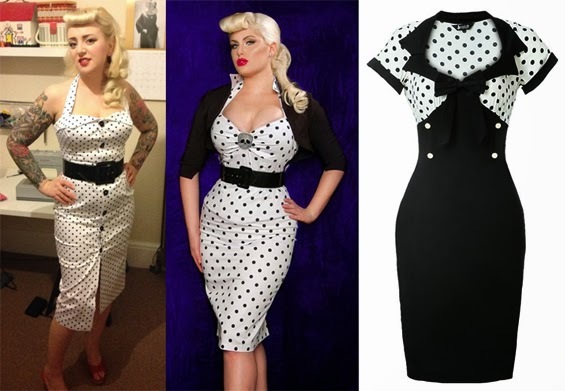 The dresses below are available from a teeny size 8 up to a 22, and the first is made to order so if you need a bigger size why not send Miss Boo Boo Kitty Couture a message and see what she can whip you up? 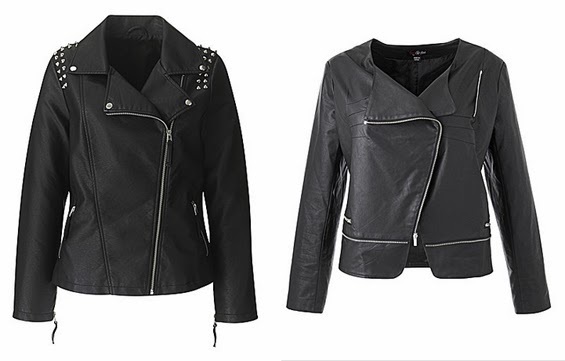 Naturally a good biker jackets is essential for both badass-ness and warmth. If you fancy going for a more traditional style you should try this Stud Trim style, or if you wanted to give the look a bit of a modern edge try this Zip Detail jacket both from the always fabulous Simply Be. In all honesty, I think a good pair of bow adorned peep toes is a better look than rolled socks and kitten heels these days so why not go for a pair of these stunning Lola Ramona's (which are all on sale!!) from Office? 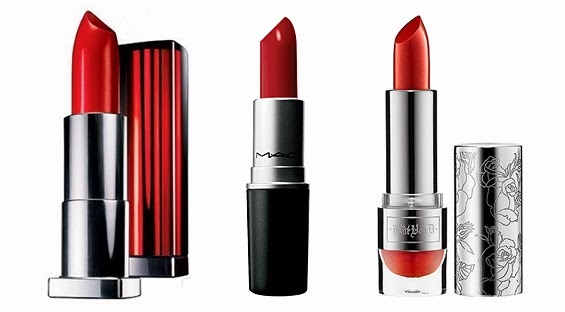 A good red lipstick is a must have in any lady's make-up kit and these are three of my faves. For the budget conscious I'd go for Maybelline Color Sensational Lipstick in Fatal Red or if you feel like spending a little more try the famous Russian Red by MAC. If you want to go a little more fancy you could try and get your hands on one of my favourites Adora in the Kat Von D Foiled Love Lipstick Line for Sephora - it's a wonderful metallic candy apple red and has mega staying power! Lastly you'll need to get those locks coloured to a lovely deep blonde and line your eyes with a slick of black liner. 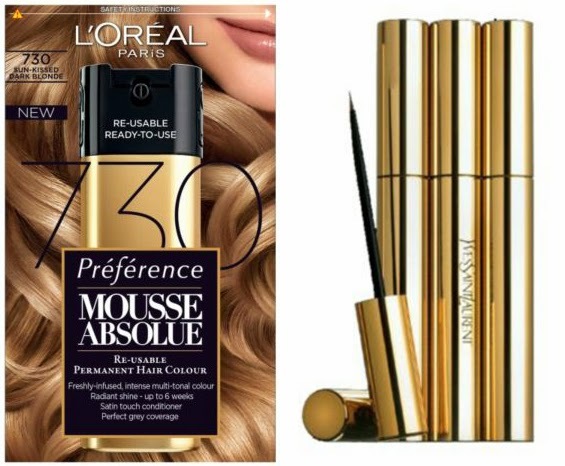 This shade 730 from the Preference Mousse Absolue range was the closest I could find to Wanda's colour and as you'll want a good fine brush I'd suggest trying Yves Saint Laurent's eyeliner which is available in most Boots store.